This true film re-enacts a harrowing adventure by two mountaineers on a remote peak in the Andes, still unclimbed today. Near the top one mountaineer with a badly broken leg disappears over the edge of a cliff in a storm, hangs by a single rope, but is thought to be dead, so the rope is cut. 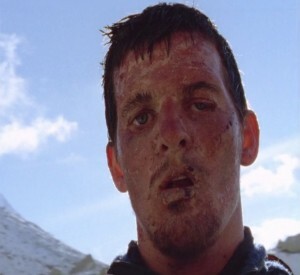 Miraculously the injured man falls into a deep crevice, lives, and crawls out with his hands and rolls down a glacier and creeps back to camp almost dead on his elbows 6 days after they set out. Together with two stunt men, the two climbers re-live their nightmare by re-climbing the route and revealing what they were thinking the first time around. As an act of honesty, bravery and endurance, it’s staggering to watch. At every junction you are sure, this is the end! But it isn’t. 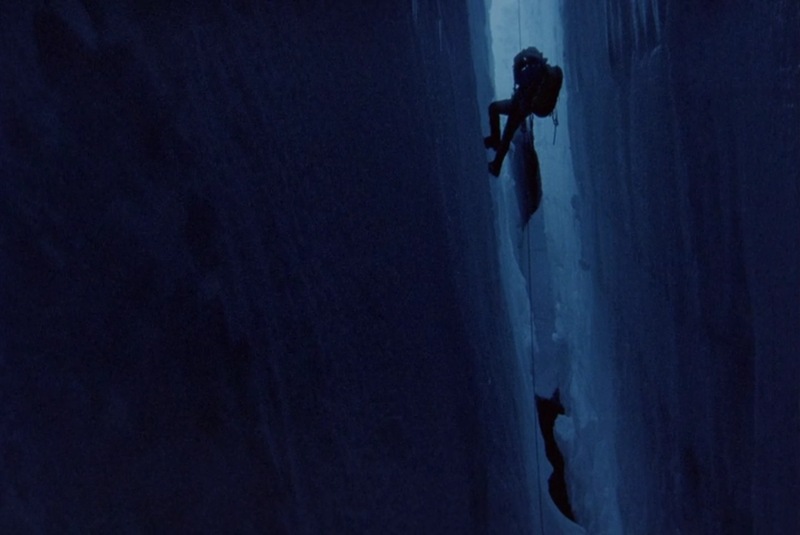 In the climbing community this is considered one of the best mountaineering films ever.